THE SHOW WILL NOW BE A HALF-HOUR, DROPPING THE HOUR. PBS will discontinue the long-running one-hour version of Sesame Street this fall, it announced to stations Wednesday, and will continue airing new half-hour episodes that premiered last year. The iconic series premiered in November 1969. The new schedule, which takes effect Nov. 16, will feature the 30-minute version at 10 a.m.
That feedback included “strong station carriage” of the shorter version, representing 93 percent coverage, Maria Vera, PBS Kids spokesperson, told Current. PBS launched the 30-minute version last September on weekday afternoons, with the hourlong version airing on weekday mornings. Both versions are doing well in ratings, according to Craig Reed, executive director at public TV audience research company TRAC Media. Ratings for childrens’ programs are generally higher in morning timeslots, Reed said. While the half-hour show’s numbers are slightly lower than the hourlong program’s, the shorter version “does very well at growing its audience over the lead-in — just what we would expect for a program that is performing at a high level,” he said. PBS also made the shorter version available for streaming on the PBS Kids website, mobile app and Roku channel. 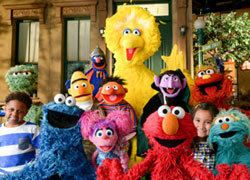 Since the introduction of the shorter format, average monthly viewing of Sesame Streetcontent on PBS Kids digital platforms has increased 40 percent, Vera said. 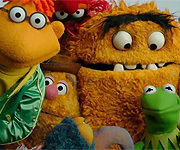 “Nearly all of our children’s programming is animated, and it’s good to have shows with real people and Muppets that aren’t drawn on a computer,” he said. MikaelaMuppet and The Count like this. I kind of knew this was going to happen. Having a main core 6 Muppet cast and shortening the show to half an hour altogether? Yup, they're really trying to blend in with the style of other kid shows alright. It already kinda makes me wonder what the new format this season is gonna look like. RIP, Abby's Flying Fairy School and Elmo the Musical. Who knows, they might keep just Abby's Flying Fairy School and Elmo the Musical. They could make them into spinoffs or something. Make "Elmo the Musical" into a separate half-hour show or something. My main argument for that will always be this: if they split off AFFS or ETM, it'd make sense for PBS to air them alongside SS. In which case, they're would be no point in them being separate; they might as well be a part of the regular hour. PBS Kids Sprout and digital delivery like iTunes is the most likely home for Abby's Flying Fairy School and Elmo the Musical. These shorts would work nicely with Sprout's rotation. Pig's Laundry and Oscarfan like this. Considering they've recently been putting Crumby Pictures and AFFS in purchasable volumes on iTunes, that seems entirely plausible. To quote , "Me world no make sense anymore." Then again, I've been of the opinion for the last several years that perhaps a feasible programming block for SST could be for the US market to adopt a tactic similar to the European markets. By that I mean, have the main street story (fifteen minutes or half the episode) and your letter and number sponsor segments, and perhaps a few parody segments filling up the other half of the episode. Then air AFFS, ETM, Crummy Pictures, and SG 2.0 alongside the main program but separate so they don't clunk up the main program itself. So yeah... This announcement does set me back rocking on my heels, but that's primarily due to the unexpected nature. After a couple of days I'll be okay with such a decision. Some Sesame Street on the air is better than no Sesame Street on the air. Thank you for that important lesson . For the longest time I always scoffed when some politico said "Sesame Street could do well on private TV networks" in response to the whole "we don't want PBS to get that teeny amount of tax money it gets" debate. And you know what? Crushing the show into a half hour format is exactly what I'd expect from a private network. We should have seen it coming with PBS, but I thought they'd at least have the decency to treat the show that pretty much established their children's line up, a show that outlasted Maroon Dinosaurs and campy British babbling mutants, with the respect it deserves. Their excuse of bringing it in line with the other shows is the most patronizing thing I've seen about Sesame Street from the network. "Our competitors don't have hour long blocks." Your competitors air commercials and one competitor still strongly supports the obnoxious and dated (and yet to be discredited) talk slowly and sit around waiting for the answers to your own questions schtick. Now, yes. There have been vast improvements in the field of Preschool programming. Disney has some great stuff. But there's just soooo much of it that Nick can actually create a show about Puppies running around. No... real freaking Puppies! Just running around! It's a THING! And yes, I have indeed been complaining about filler. There's a unique problem with the show here. It has too little footage to keep up a full hour, I agree. But at the same time, it doesn't fit at all into a half hour. There's no way for it to have a 45 minute slot. Yes, on the bright side no Abby's Flying School and more budget and stuff like that. On the negative side, shorter, jarringly paced street stories ("Everyday Magic" and "Oscar's Trash Plan" for example), letters and numbers will get an even shorter end of the stick, and I wouldn't doubt we'd still see the same TV parody/celebrity guest twice a season. This is, in the end, a disappointing move goaded by PBS that has no problem airing hour long (or more) blocks of popular shows anyway. They've been putting the squeeze on Sesame Street, which still is relevant and money making, when none of their other kid's shows measured their long term consistent success. 45 years really should count for something. Bet SW was also taken in by Streaming sweetheart deals as well. Starchamberfall and MikaelaMuppet like this. So was season 46 filmed as a half-hour show in preparation for this change or is it going to be edited down? I was expecting PBS to drop the half-hour version instead of the hour-long. I wonder if there'll be more DVD releases of full episodes now that it's going to always be a half-hour. In the past few years we've gotten DVD releases of two full hour-long episodes each, but now I wouldn't be surprised if there will be DVDs with four half-hour episodes (and I never wondered about that possibility for the 30-minute versions of the season 45 episodes). At this point, I wonder if the show should just end and be replaced with a new Sesame series featuring the same characters. That's an odd move, don't you think? Couldn't future seasons of SST be produced exclusively for Sprout? I'd even suggest the Hub, but they don't exist anymore. And we all know SW's partnership with Viacom didn't last, hence Noggin morphing into the Nick Jr. channel. SW will be making new stuff for HBO. PBS will get it after a 9-month period. And PBS is getting it free of charge, as all the production costs, etc. are being footed by HBO. While I still stewing on whether this is objectively good, it is the best thing financially that could ever happen to SW.
At this point in time, I'm honestly beginning to question just how much longer SST will continue to last. In the grand scheme of things, five years is a decent amount of time for the show to keep going, and it so far seems to be holding itself up against all of the major changes and shake-ups that are happening with this season alone. I know a number of skeptics for the past few years have been doubting any continuation of SST's longevity.